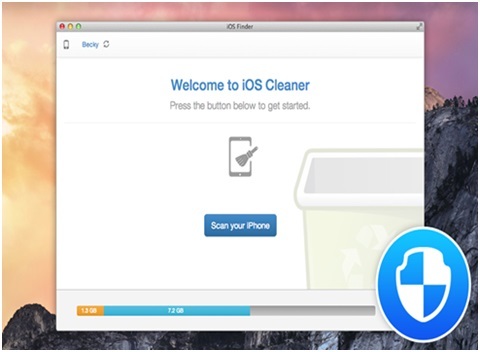 Macgo iPhone Cleaner, which runs on Mac OS X, is an easy to operate iOS cleaning tool. It scans and sweeps away all kinds of leftover junk files in iPhone, iPad, iPod Touch to release up almost 40% ~ 60% occupied storage space, at the same time improve the Apple mobile devices running speed. Combined with advanced analyzing technology, Macgo iPhone Cleaner for Mac can eliminate all types of junk with security with just one simple click. As a delicate iOS cleaning utility, it delivers a solution which is more than absolutely safe but efficiently reclaims storage space. We can say that Macgo iPhone Cleaner for Mac is kind of free iOS file explorer, through which you can browse any kind of files on your iPhone. Then you are allowed to uncheck the ones you don’t want to perform the cleaning operation. If you are an iOS expert, just deal with “garbage” manually. While if not, press the clean button and let the tool do the rest. 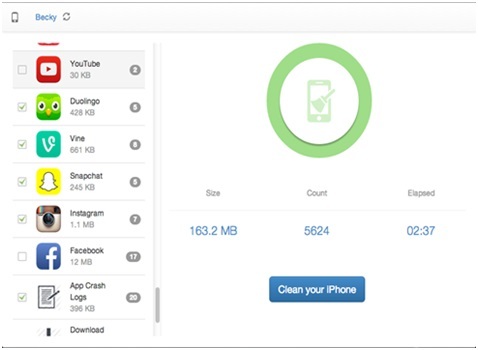 With a full range scanning, iPhone Cleaner for Mac digs every corner of your iPhone to eliminate these junk cache files and reclaim up 40% – 60% storage space, so as to alleviate your iOS load. As a result, you can launch apps, play games and do everything else at a noticeably faster speed as if they were new. The speedup feature would be fairly significant on all your iOS devices like iPhone, iPad, iPod Touch, etc. Macgo iPhone Cleaner for Mac was designed to scan and erase almost all kinds of junk files produced on your iOS devices during usage. The advanced technology can protect the important system files but strike out all the useless like temp, cache, cookie, off-line, corrupt and forgotten files, and many other kinds of junk files. Even the redundant app crash logs would be thoroughly cleaned out. 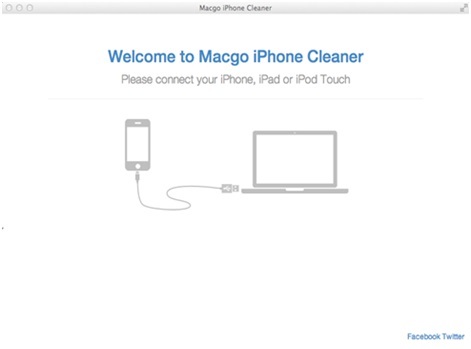 After a series of feature introduction, let’s get down to operation of how Macgo iPhone Cleaner for Mac works. First of all, you need to download Macgo iPhone Cleaner and install it on Mac. Then, follow the next steps. Connect your iPhone to Mac and start this cleaner. Make sure you install the latest iTunes to guarantee the connection works well. When everything is ready, press the “Scan your iPhone” button in the central to begin the deep search of iPhone system files under the private browsing mode, which guarantees the absolute security of your personal information. When the scanning’s over, you will get a list of app folders to clean. Uncheck the particular ones you don’t want to customize the cleaning operation if needed. Or just click on “Clean your iPhone” button to start the default cleaning. If you want to end the process during cleaning, just press Skip button to stop and get back to the initial interface. Besides, you are also allowed to open an item at the left column to perform some actions like checking the cache files, opening a file elsewhere or adding a new file and naming it. After the clean-up, click Done, and your iPhone will run as fast as a new one. Related to "Lighten Your iPhone Load with Macgo iPhone Cleaner for Mac"